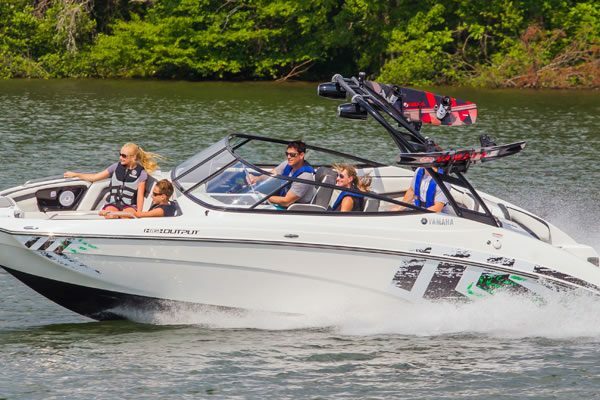 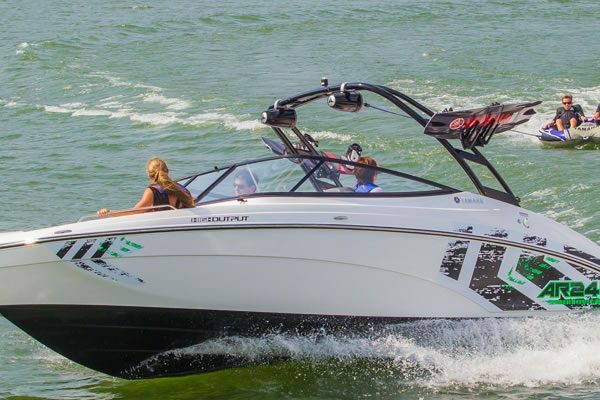 Fast, full-throttle power with fuel-efficient, open water cruising for family wake sports fun. 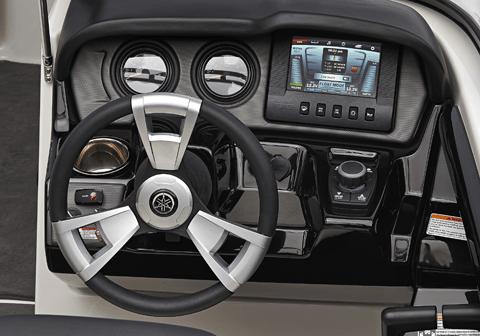 Yamaha’s Advanced Responsive Handling package delivers immediate steering response and maximum control. 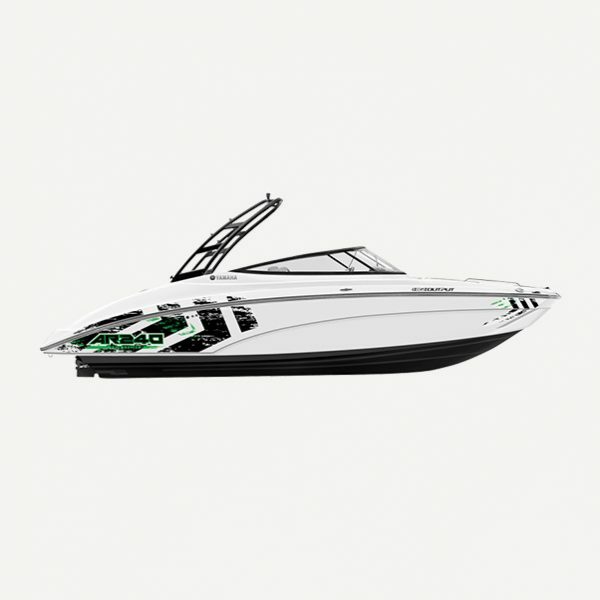 Comes standard with a folding, colour-matched tower and painted trailer, making it one of the best buys in the industry. 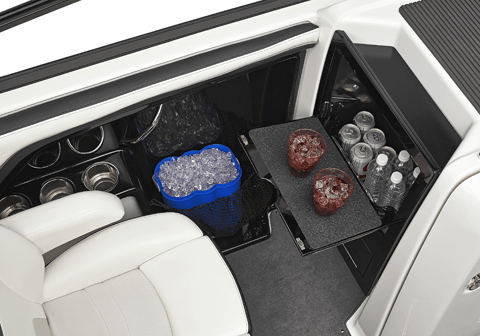 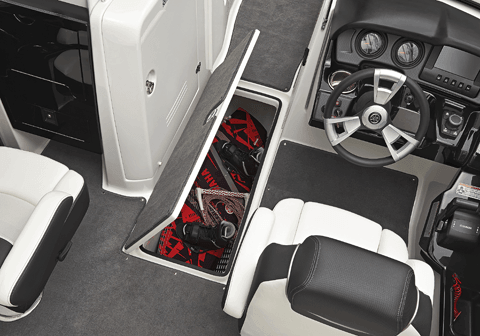 The portside entertainment station with convenient beverage centre and three storage areas includes a lockable glovebox and additional space for a cooler, garbage bin or gear bags.